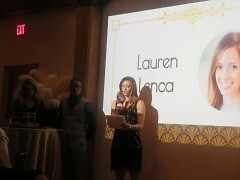 The 2nd Annual Young Professionals Finding a Cure Gala, Putting Prohibition on Cancer in support of the American Cancer Society was held on November 9th, 2018 at the Loft at Luna in Grand Rapids, MI. 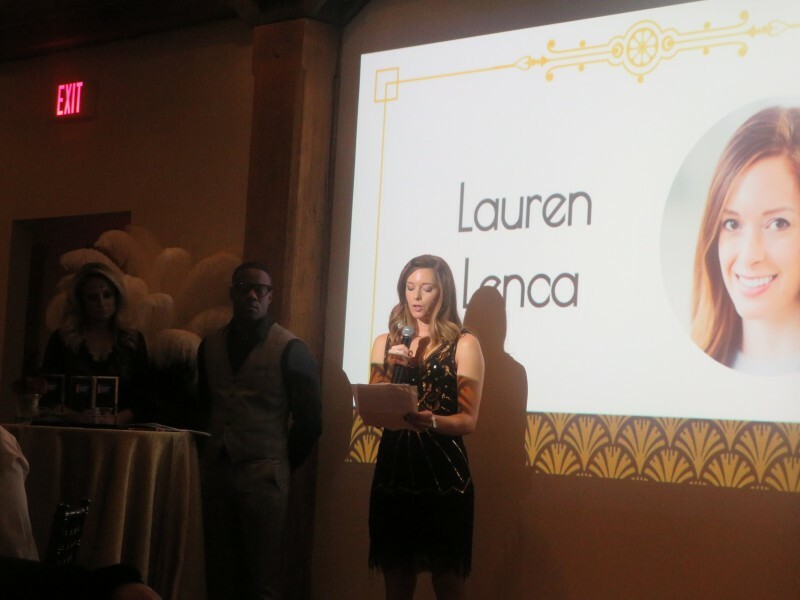 The 2nd Annual Young Professionals Finding a Cure Gala, Putting Prohibition on Cancer in support of the American Cancer Society was held on November 9th, 2018 at the Loft at Luna in Grand Rapids, MI. 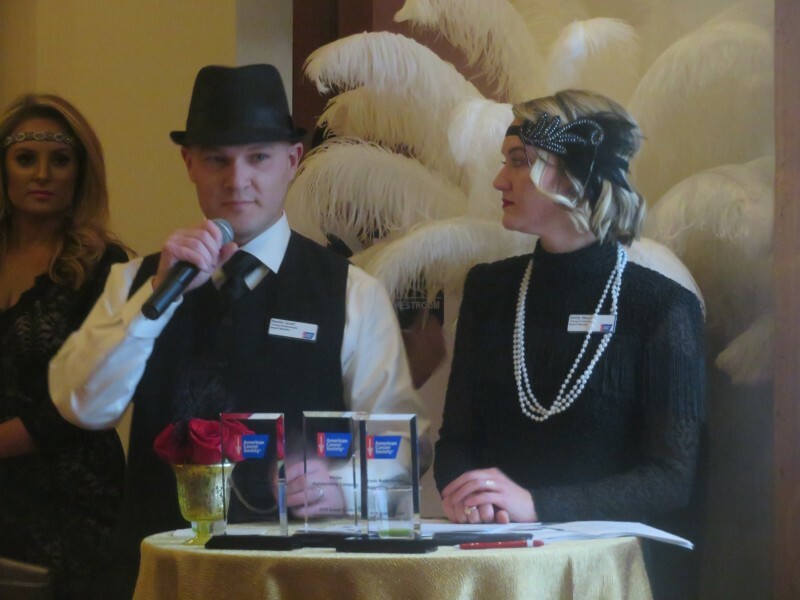 The event was themed with a step back into the roaring 1920's era with an emphasis on finding a cure and putting a prohibition on cancer. The event began at 6:00 p.m. for VIP's and 7:00 p.m. for General Admission guests. For an additional $5 charge, guests had the option to purchase a star to be hung during the event. The stars were in honor of those the donors knew who were affected by cancer. The emcees for the evening were Faran Fronczak and James Starks, who are both members of the WZZM 13 ON YOUR SIDE morning team, as well as ACS young professionals event Co-Chair’s Rustin Scott and Emily Mase. The event also included a silent auction and live auction. In addition, cancer survivor Laura Lenca delivered remarks. She shared her experience with surviving melanoma after being diagnosed in 2015. The YPN then recognized Ernie Badersnider, “a long time Relay for Life leader in Rockford, MI. whose team raises over $20,000 each year,” according to a description from event organizers. They also awarded Dr. Rochelle Tiedemann for her outstanding research at the Van Andel Institute. “Her studies aim to explore potential therapeutic strategies by understanding the processes of cancer,” according to informational material provided at the event. Other activities included a performance by the Grand Rapids Swing Club, a live DJ, photo booth and raffle. The ACS young professionals Gala 2018 concluded at 11:00 p.m. The event's roaring success was due to the generous sponsors and volunteers. All proceeds are being used to make a difference in the fight against cancer.